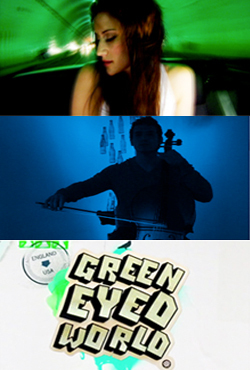 Green Eyed World follows the life adventure of Katie Vogel, a talented girl with a green guitar, killer tunes and big dreams. Powered by Sprite and YouTube, Green Eyed World is an exclusive, one-of-a-kind socially interactive show in which you get the chance to tell Katie what you think through simple votes and comments. Her decisions combined with your input will inspire her real life choices on her road to success.